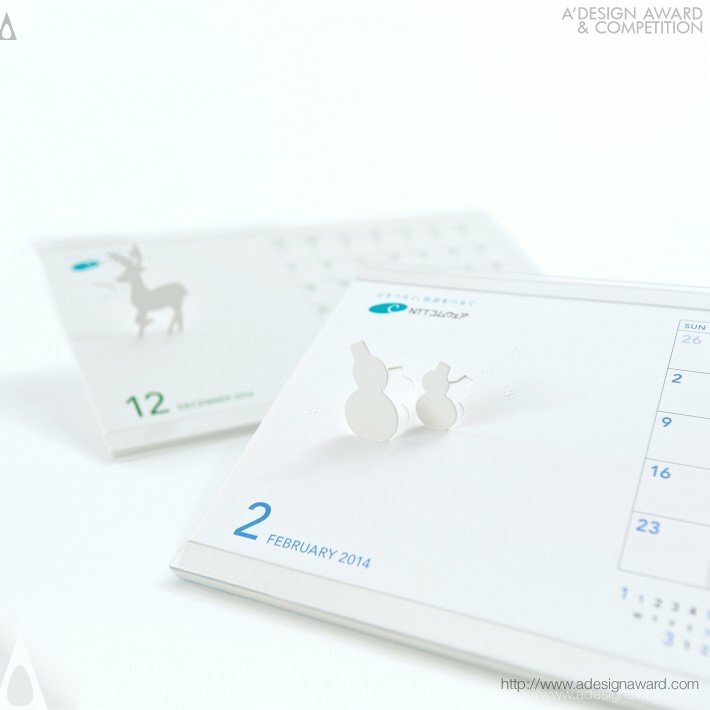 This is a desk calendar made with a cut-out design featuring seasonal motifs on exquisite embossing. 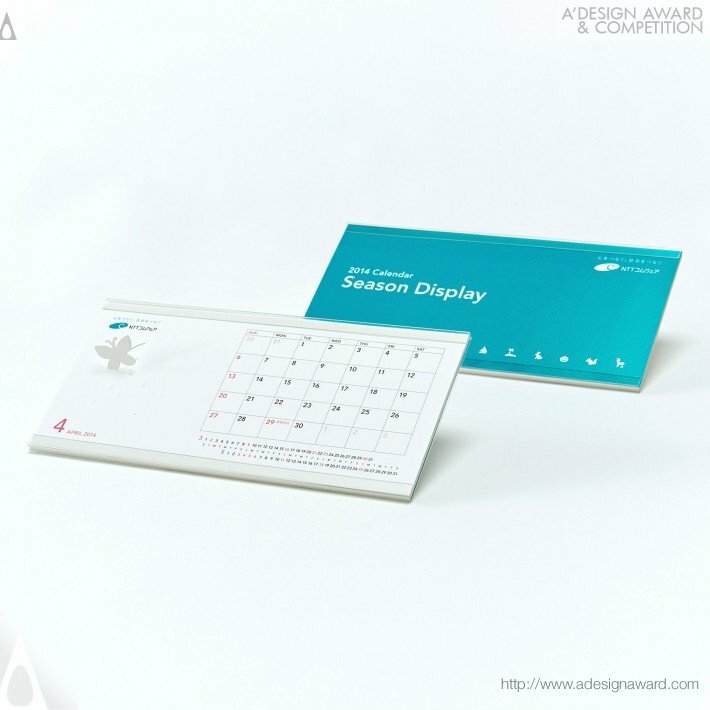 The highlight of the design is when displayed, the seasonal motifs are set at an angle of 30 degrees for best viewing. 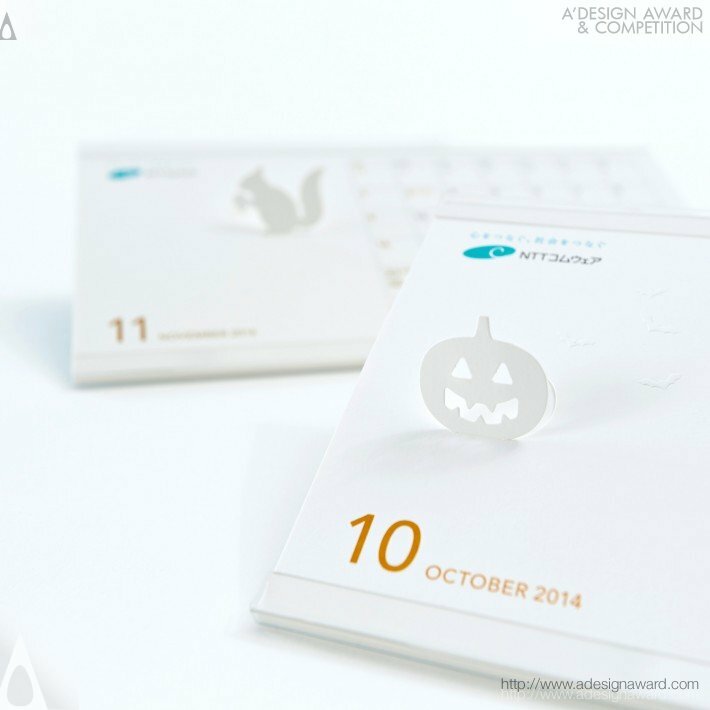 This new form expresses NTT COMWARE's novel flair for generating new ideas. 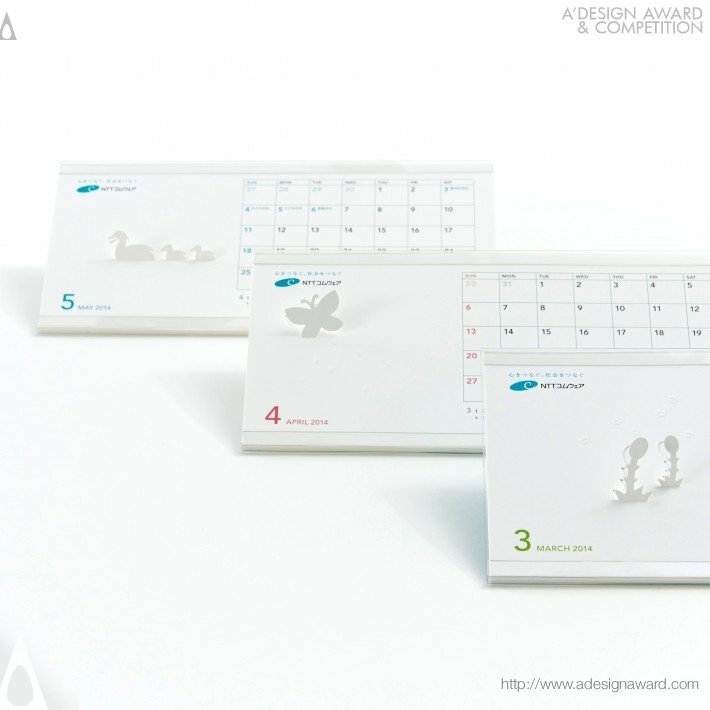 Thought is given to the calendar functionality with ample writing space and ruled lines. 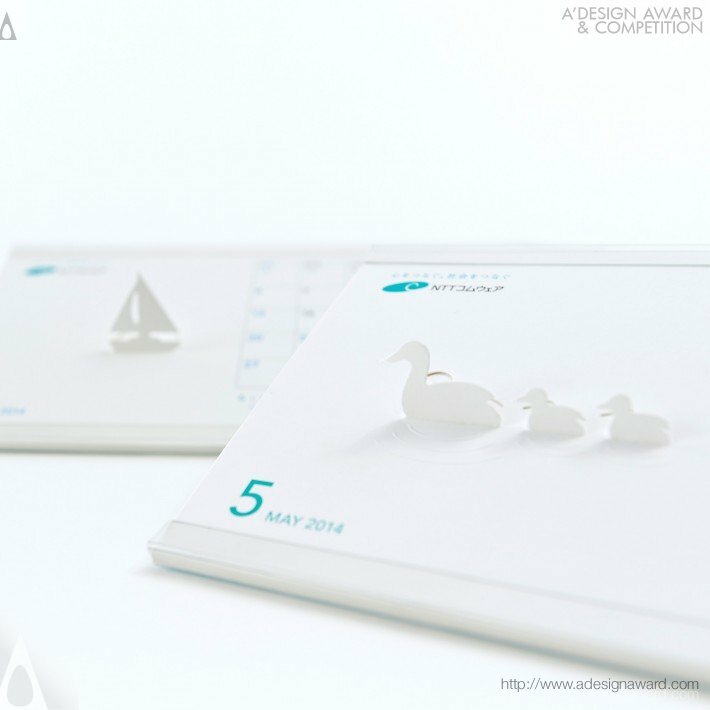 It's good for quick viewing and easy to use, brimming with originality that sets it apart from other calendars.